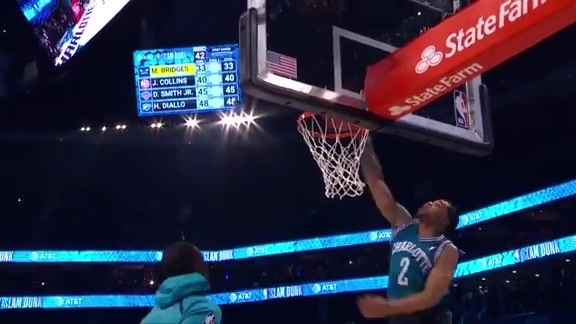 Hornets fans eager to see Kemba Walker start for the first time at the NBA All-Star Game will get a double dose of Charlotte representation one day earlier as both he and Miles Bridges have officially been selected for Saturday night’s Three-Point and Slam Dunk Contest, respectively. Walker will be appearing in the Three-Point Contest for the second time in his career, having placed third two years ago behind winner Eric Gordon and Kyrie Irving down in New Orleans. The rookie Bridges will be the first Charlotte player in the Dunk Contest since Gerald Wallace in 2010. This will also mark the second time the Hornets have had a player in each event at the same All-Star Weekend. Dell Curry tied for fifth at the 1992 Three-Point Contest in Orlando, while Larry Johnson came in second in the Dunk Contest. Johnson’s runner-up finish is the closed in Charlotte player has ever come to winning either competition. With Walker already starting the game in his home city, adding him and Bridges into the mix on Saturday night will make All-Star Weekend only that much more memorable for the city of Charlotte. These two will have history working against them though, especially Walker. No player has ever won the Three-Point Contest in his home city, although Tobias Harris of the L.A. Clippers came close last year with a third-place showing at the Staples Center. As for Bridges, he’ll be looking to join Michael Jordan (Chicago, 1988), Isaiah Rider (Minneapolis, 1994) and Blake Griffin (Los Angeles, 2011) as the only players to win the Dunk Contest in their home city. The lack of success from hometown competitors should be taken with a grain of salt however as not every host city has had representatives in these events on a yearly basis. Regardless, it’ll be up to Walker to set the tone early as he’ll be battling a deep field consisting of Steph and Seth Curry, 2018 Champion Devin Booker, Damian Lillard, Dirk Nowitzki, Joe Harris, Buddy Hield, Khris Middleton and Danny Green. In round one, Walker and the seven other participants will have 60 seconds to unload five racks of five basketballs each that are stationed around the three-point line. The last ball on each rack counts double and players have the option to stock one rack entirely with these ‘money balls’, making 34 the maximum score per round. Last year, three players advanced to the finals, where a winner was crowned under the same format as the opening round. As for Bridges, he’ll be going up against three other high-flying dunkers in John Collins, Dennis Smith Jr. and Hamidou Diallo. Dunk Contest rules have fluctuated from year to year, but generally, each player gets a pair of 30-second windows in the opening round to execute their two best dunks. The top two combined scorers will advance to the finals, where the same rules eventually determine a champion. Usually the marquee spectacle of the evening, the Dunk Contest features a jaw-dropping blend of athleticism, creativity and theatrics. 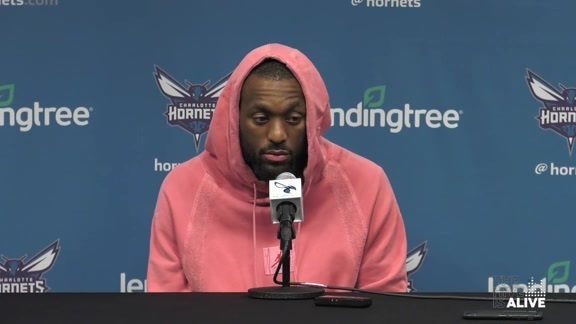 In the past, players have incorporated a variety of different props including a cupcake (Gerald Green, 2008), a second basket (JaVale McGee, 2011), a teddy bear (Serge Ibaka, 2011), a Kia Optima (Blake Griffin, 2011), a motorcycle (Derrick Williams, 2012), a painting/easel (Jeremy Evans, 2013) and a drone (Aaron Gordon, 2017). Players have also attempted dunks blindfolded (Cedric Ceballos, 1992) and in costume (Dwight Howard as Superman, 2008). Five-foot-nine-inch Nate Robinson countered Howard the following year by dressing up as ‘Kryptonite’ and hurdling the 6-11 center in route to the second of his record three Dunk Contest titles. Chicago Bulls guard Zach LaVine, who won the Dunk Contest in both 2015 and 2016, provided Hornets.com with some insight on the competition and what goes into the unique preparation. 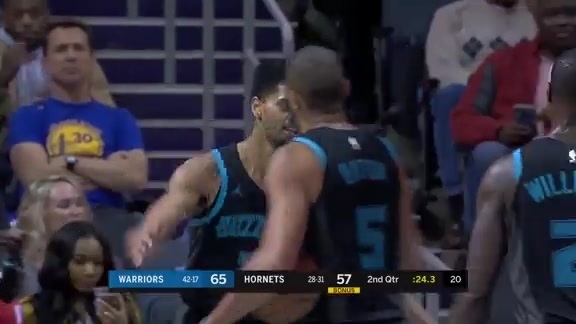 Regardless of the outcomes, Walker and Bridges are both more-than-worthy representatives of the Charlotte Hornets organization, who each have as good a chance as any to win their respective competitions on Saturday night. It’ll certainly be an unbelievable night for the city of Charlotte, and hopefully, these two Hornets can make a bit of history in the process.